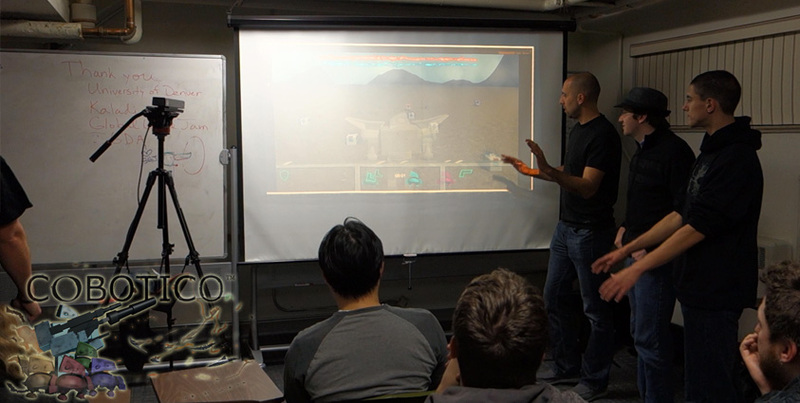 Developers enjoy our KINECT game COBOTICO at 2015 Denver Global Game Jam. Interested in new gaming interfaces and technology like the Kinect v2, HoloLens and Oculus Rift? Join us for our monthly CGDA (Colorado Game Developers Association) meetings. Also find us at the 2015 DU Denver Global Game Jam location. Colorado Game Developers are also welcome to attend our 2015 Denver Hackathon taking place April 25th, 2015. We plan to have food, hardware, prizes and more. Be sure to mark your calendar and RSVP ASAP if you would like to attend this FREE Denver game development event. Join the Colorado Game Developers, Denver Unity Developers, Denver Microsoft Developers, Denver Game Developers and more at this unique event. Seating limited. Denver eSports and the annual Denver Indie Game Expo continues to grow. 2014 was a great year and Limn Interactive is looking forward to more growth in 2015. Looking back on 2014 we would like to thank our fans, partners, Colorado indie game developers, conferences, and other folks we worked with. We wrapped up the year with the annual Denver Indie Game Expo and our Holiday Denver Video Game Party. 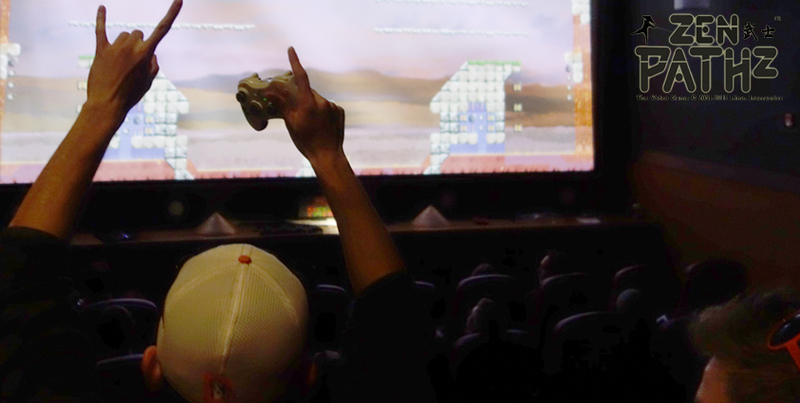 Filling a movie theater for the first time with indie gamers and watching them get into Zen Pathz on the big screen is something we will never forget. 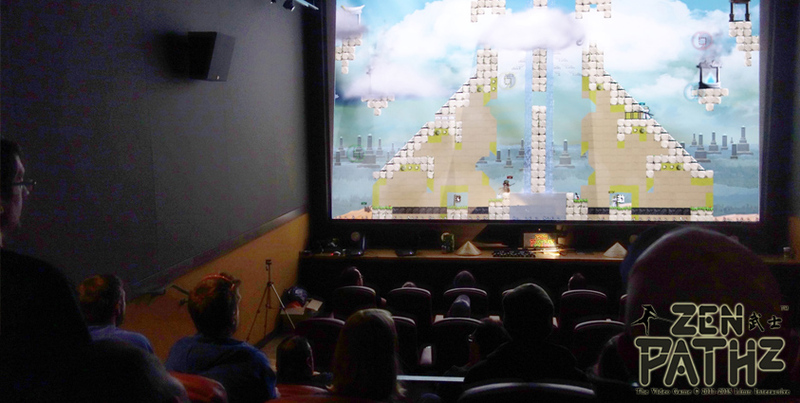 ZenPathz fighter/platformer eSports tournament on the movie screen. The virtual reality games and demos were a hit again at the annual 2014 Denver Indie Game Expo. People lined up to try the Oculus Rift, Durovis Dive hardware and a variety of indie games. A Zen Pathz tournament and raffle with some great prizes also was held. We increased the size of the event again but still filled to capacity. Be sure you sign up early for the 2015 event so you can avoid the waiting list. Didn’t get a chance to meet everyone but enjoyed talking to those we did. 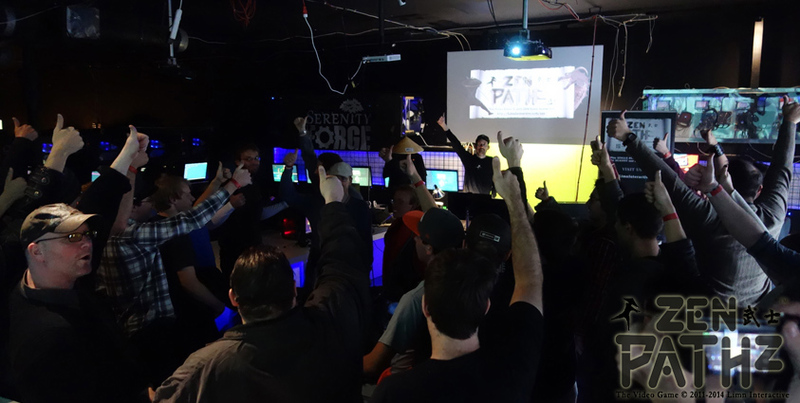 other great Colorado esports tournaments are planned for 2015. If you are interested in showing a portfolio, games, or anything else you are working on, sponsoring, or getting involved in future events, let us know. We also need help acquiring items for our upcoming events and raffles.